When it comes to building your online business, there’s nothing more rewarding than taking the time to come up with creative business ideas to differentiate yourself from the competition. However, for those just starting out online it can be fairly daunting to sit down and start their brainstorming session since they wouldn’t know where to start! Completely understandable since there are a lot of things to learn and familiarize within the internet marketing industry. That’s why so many people suffer from information overload and throw in the towel early on before they even gave their business a proper chance. So before I unload some “creative business ideas” for you to use, I would like to emphasize something here first: do not expect to make a lot of money in the first few months of business. Why? Because it takes time to finally understand how everything ties in together and how they build off on one another to work as a system. I really want you to succeed in your business because I personally think jobs are evil, life sucking, emotionally draining entities (ok I know they aren’t “physical” but I can’t think of another word lol) so just bear in mind that these things take a little time, patience, understanding, persistence and hard work. Ok so you’re probably wondering what are the strategies you can use to separate yourself from the pack of sheep out there that are internet network marketers right? Well the first thing you can do, if not the most important thing, is to brand yourself. But yea what I mean by brand yourself is you create content, whether it be videos, articles, or any other kind of content with your own unique spin or style to it. For example, if you’re writing a blog post, write it exactly how you normally talk. For a video, record yourself communicating with the camera as if you were talking to a friend (sounds a bit creepy but the point here is to be natural in front of the camera). Since your business is online, by being yourself in your content creation, this is how people get to know the real you and are able to relate, like and want to buy or work with you. Design your business in a way so that it truly represents you, your likes, and your values. it is your business after all you can do whatever you want with it (just avoid any dodgy activities please your brand is at stake). The next thing you can use as a part of your creative business ideas strategy is you can do the exact opposite of what everybody else is doing. This takes a little research on your part but it would be worth it in the end. Now changing something to go against the norm can be from using words, or copywriting, that other marketers aren’t using, to changing the layout of your capture pages or website. So how does changing the appearance of something make a difference? Well you would be surprised at how the slightest tweak in appearance can make a massive difference in your business! It could be from increasing the opt in rates for your capture page to an increase in sales. Controversial topics are great for making your post, and your name, go viral on the internet, and reviews are a great way to get traffic if whatever it is that you decided to review is a well searched for product. If you would like to learn more about some creative business ideas, strategies, tips, or tricks online, then click here and try out this system. It’s $10 for a 2 week trial and I can guarantee you that it is the online marketers’ complete guide to everything you need to know about internet marketing. 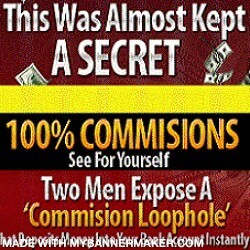 Click here to take action and gain access to this awesome internet marketing system now! And that’s my quick overview of some creative business ideas you can use for your business even if you are completely new marketing online. Ordinary this publish is totaly unrelated to what I used to be looking out google for, but it surely used to be indexed at the first page. I assume your doing something right if Google likes you sufficient to put you on the first web page of a non comparable search. Great post. I was checking constantly this blog and I am impressed! Extremely useful info specifically the last part I care for such info a lot. I was seeking this certain info for a very long time. Thank you and good luck. FREE Facebook training on how to generate 25+ Fans Per day and 36+ Leads Per Day on autopilot for FREE! Do You Have the Mindset for Success or Failure? Will Your Business Die If You Don’t Know How to Prospect? tinanp07 on Will Your Business Die If You Don’t Know How to Prospect? 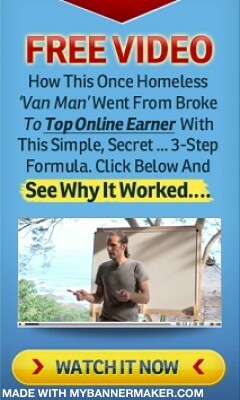 Juni on Will Your Business Die If You Don’t Know How to Prospect?